Ten years ago, EDGE speed of 400 kbit/s seemed to be the recklessness, but today no surprise on even the possibility of mobile Full HD video. Technology does not lag behind the growing demand: the standard LTE-Advanced is already implemented, allowing you to transfer data twice as fast compared to conventional LTE. One of the best devices the newest standard router Alcatel One Touch Link Y900, which will be discussed in this review. Below are the a full complement of accessories in the package with Alcatel Y900. 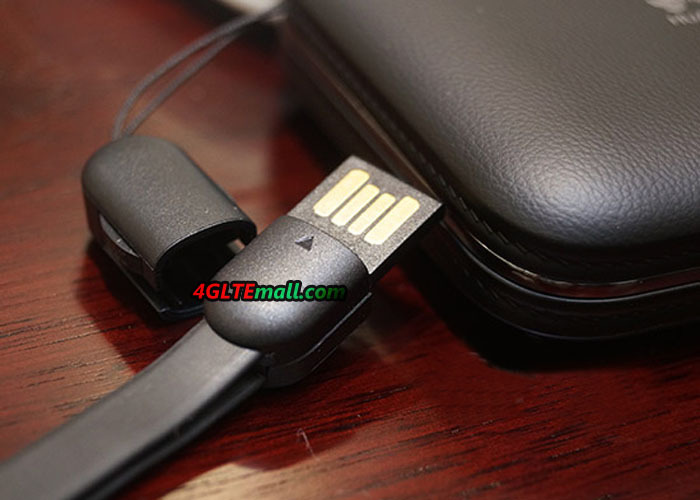 In addition to the router, buyers will get the power supply cable, micro-USB 3.0, cable USB OTG (with connector micro-USB 2.0) and warranty card. The body of Alcatel Y900 router is made of soft-touch plastic in two colors: gray-white and black. Both will not collect fingerprints. In small dimensions, the gadget is a little bit heavy because of the large battery. On the front panel, there is a LED power indicator and a large four-level indicator of network signal: depending on the power of the contour, segments are highlighted in blue. But the battery charge level can be found only in the web-based interface. Three more LEDs are on the left side of the router. They show which network the device is connecting. 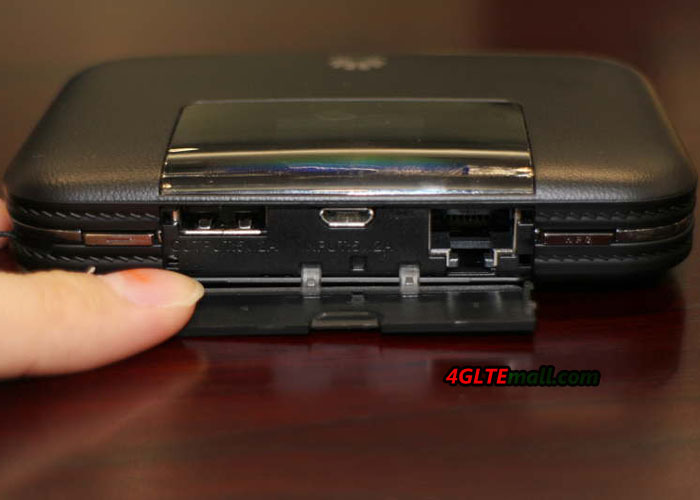 The top of the body is the power button and WPS button for fast set-up Wi-Fi. Port micro-USB 3.0 is at the lower bound of the gadget. Under the rear lid are the removable battery slot for micro-SIM and memory cards microSD. 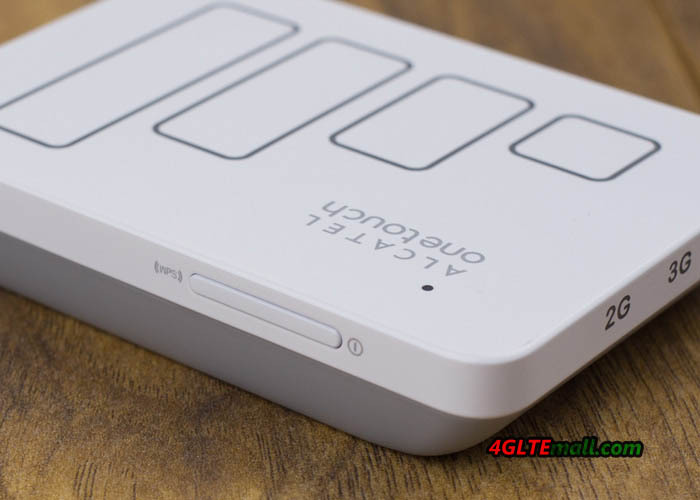 Get access to the Alcatel router in two ways: either by connecting the device to a Wi-Fi (the password for the initial configuration is located on the back of the back cover), or by connecting the gadget to PC USB-cable. In the second case, you must first install the driver that is in the memory of the router. By the way, the computer recognizes the device as a CD-drive. Most actions can be operated directly from the web-based interface with SIM-card, which allows reading and sending SMS, contacts and work with USSD-command. 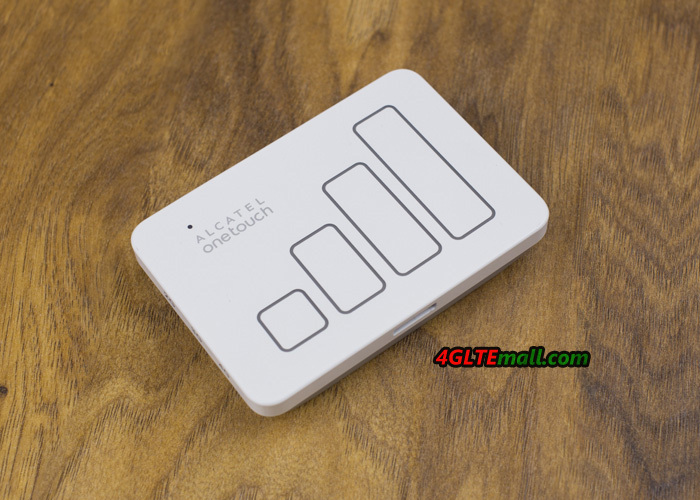 After log in the web interface, Alcatel One Touch Link Y900 begins in the “Settings”, and the most useful of them is that the possibility of switching to 4G, which offers a much higher rate than other standards even at a weak signal. In the «Wi-Fi», there are all wireless network settings, you can select the SSID and disable its broadcast, set the type of encryption, and set the maximum number of clients from one to maximum 32. In the tab “Advanced Settings” to choose between the 2.4 or 5 GHz band, but the simultaneous operation in both would increase the power and cost of the router significantly. 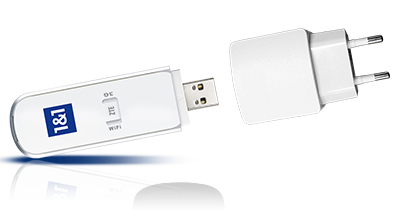 On the “Energy Saving” in the “Device”, you can adjust the range of the Wi-Fi network. If the router is in your bag, and you want only share the network to your devices (such as a smartphone and a laptop), the setting will be enough “Small range Wi-Fi networks.” Then the gadget will last much longer time without recharging in this case. Section “Firewall” to configure port forwarding, and the demilitarized zone (DMZ). This functionality is sure to be useful to power users in the event of a “white» IP-addresses. DHCP-server settings are located in the “router” if automatic assignment of customers to IP-addresses is not desirable, you can turn off the server and assign them manually. Despite a decent functionality, the Alcatel One Link Y900 router is as simple as possible for inexperienced users to log into the network, simply insert the SIM-card and enable the device, no further adjustments are required. 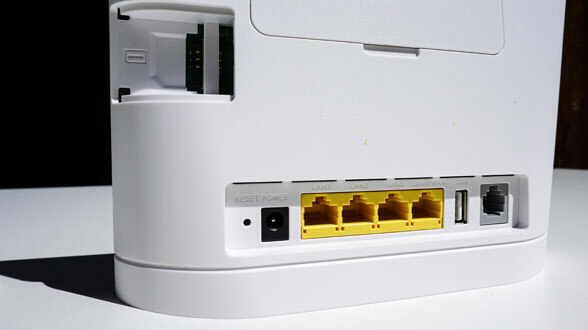 Despite the fact that the gadget is sold by the operator “Beeline”, and its web-interface explicitly made in the company’s “bee” style, the Link Y900 router can work with any SIM-cards of other operators. This possibility can not be overestimated, especially to those who travel frequently and avoid overpaying for roaming. 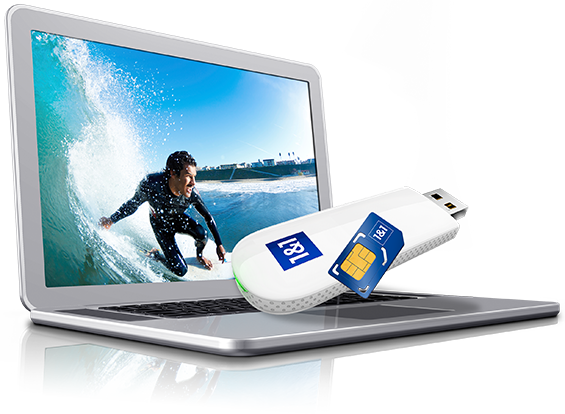 The router supports microSDHC – memory card up to 32 GB, which allows it to act as a card reader. When connected to a PC You can transfer files in both directions, but the memory card access via Wi-Fi manufacturer somehow had not foreseen. Thanks to high-capacity battery, the One Touch Link Y900 can charge other devices, and this is useful for a complete cable USB OTG. It is unlikely that such a function should be considered among the basic, but it can be very useful in an emergency, such as when you need to make a call and your phone battery is at zero. 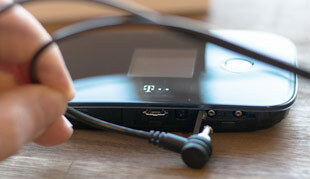 Another feature of the device is the support of USB 3.0. 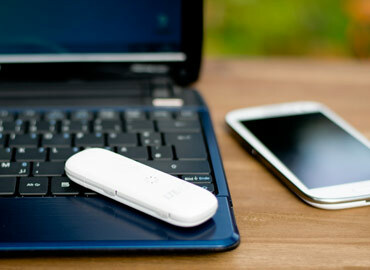 The speed of data transmission in LTE-Advanced can reach 300 Mbit/s and a maximum speed through Wi-Fi 802.11n with one antenna is 150 Mbit/s, the use of USB 3.0 for connecting the device to a PC or notebook looks quite reasonable. Alcatel One Touch Link Y900 supports all generations of mobile networks up to LTE-Advanced (or sometimes referred to as the standard 4G +). LTE-A network provides data transfer rates up to 300 Mbit/s, but unfortunately, it’s not yet very common. Do not forget that the 300 Mbit/s speed of data transmission is in perfect conditions and close proximity to the base station. And if you want it in the LTE-A, you need find out whether there is coverage in the location where you want to use a router. As for Wi-Fi, the device has the support of all modern standards 802.11a/b/g/n/ac in the frequency bands 2.4 and 5 GHz. Alcatel Router is equipped with Li-Ion battery impressive capacity 3600mAh. For eight hours of continuous operation of the device battery has run about 40%. The Alcatel One Touch Link Y900 manufacturer TCL managed to find a balance that can reconcile a variety of user groups. 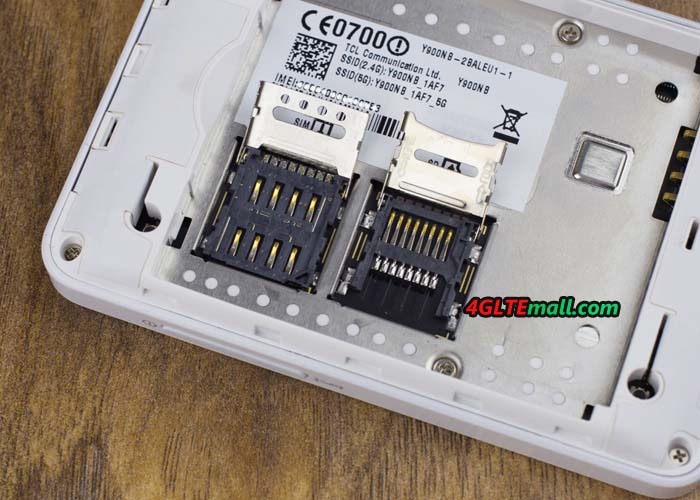 The device does not require any special installation – Insert the SIM-card and you’re done, but amateurs with their hands “pull splitting” will be pleased with the rich possibilities of functions, in which the router bypasses most competitors. The main feature of Alcatel Link Y900 – support for LTE-Advanced, allowing you to enjoy access to the internet at ultra-high speeds. 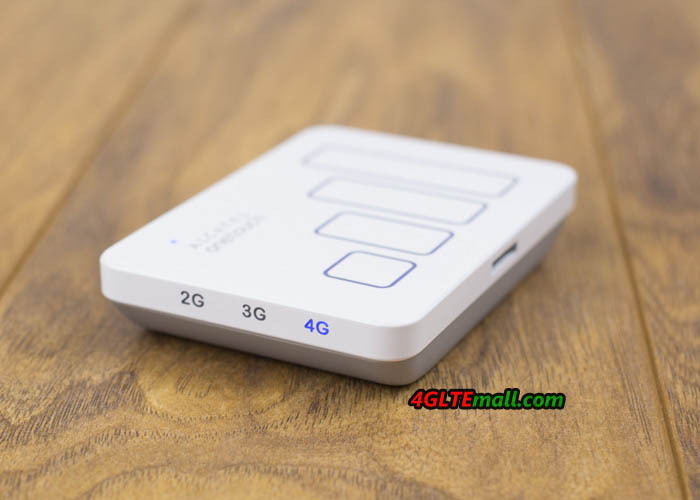 But even if the network is not available LTE-A, the gadget will be one of the best 4G-routers with support for all Wi-Fi standards and significantly longer battery life. It’s a great mobile 4G router! 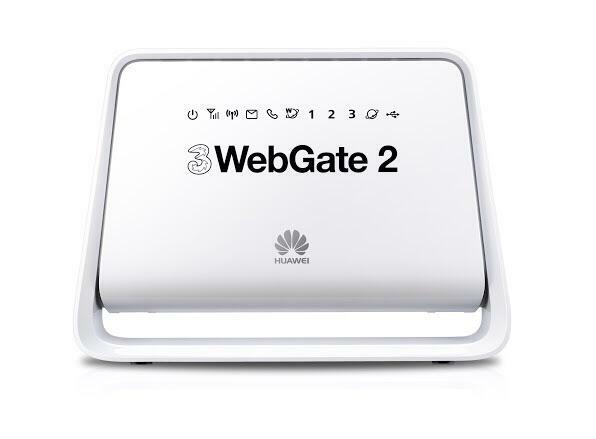 If one is looking for a small, lightweight, and powerful mobile LTE Router with Wi-Fi function, the new router Huawei E5577C should meet almost all requirements. 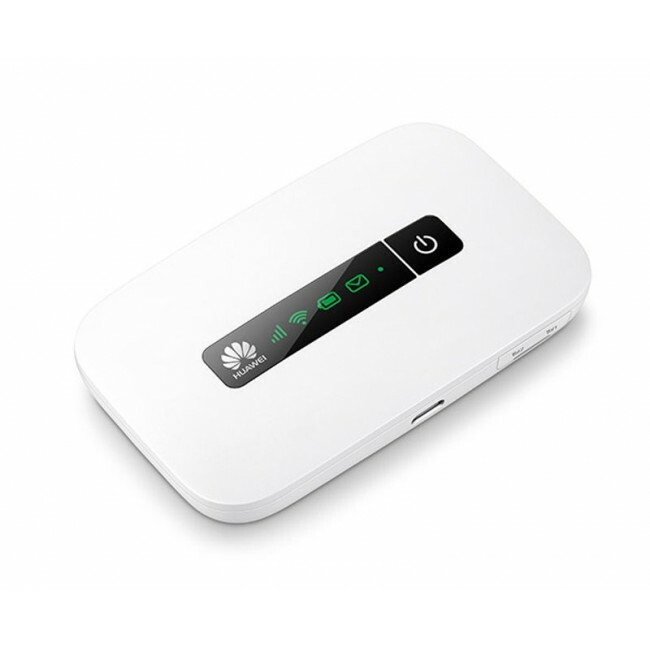 The small Hotspot can achieve up to 150 MBit/s download in LTE network with dual Band WLAN and has a small display on the front that clearly shows all the important information. It’s also featured with connections for an external antenna and a slot for an optional memory card. 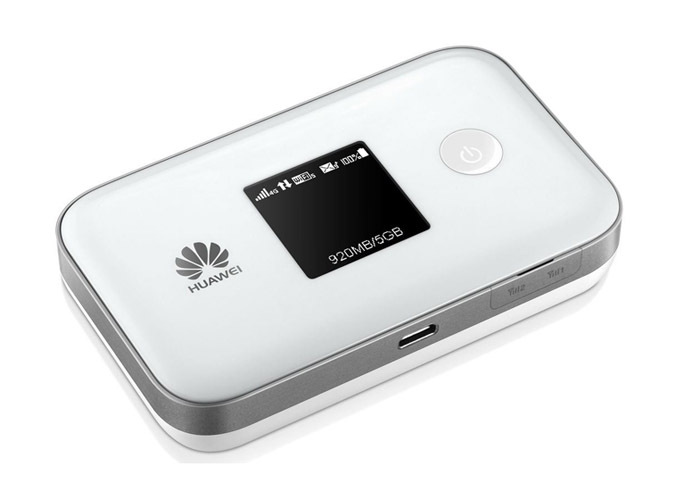 The Huawei E5577C is available in black or white and not only very light but also very compact. Nevertheless, the modem is powerful and can reach speeds of up to 150 Mbit/s downstream and 50 Mbit/s in upload. This corresponds to LTE category 4 (CAT4). A look at the supported frequency ranges also shows: The LTE connection is available not only in Europe but also in many other areas, provided that the provider’s supported or a corresponding foreign SIM card is used. In addition, LTE Huawei E5577C also supports UMTS with up to 42.2 Mbit/s downstream and GSM together with the data accelerator EDGE. If you want to improve reception and data rates, there are two connections available for an external MIMO-enabled LTE antenna under a cover. The Huawei E5577C can reach speeds of up to 300 MBit/s through WiFi, and can uses either the frequency range around 2.4 GHz or 5 GHz. The range 2.4 GHz is slightly better, however, the 5 GHz band has the advantage that it is less common, and therefore is more suitable for example for major events. 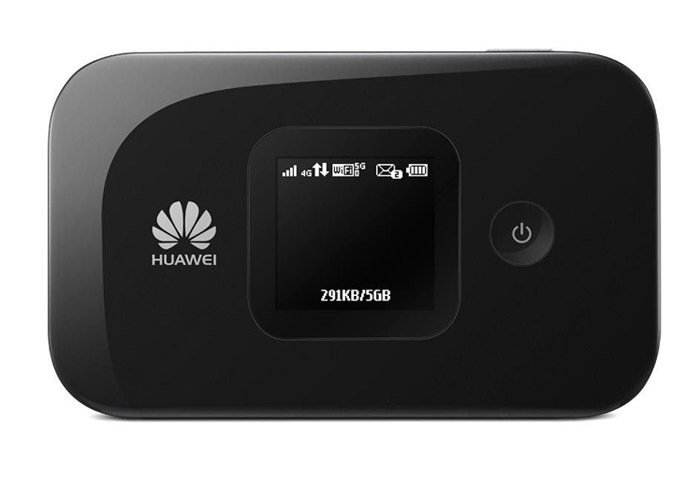 The Huawei E5577C can not only connect with up to 10 devices, but also log yourself in another Wi-Fi network and use it as an Internet access. So you can, for example, save bandwidth in the mobile phone tariff, if the device automatically logs into known wireless networks once they are within reach. An advantage compared to many other mobile LTE hotspots is easily replaceable battery. It has a capacity of 1,500 mAh and should enable an operating time of up to 6 hours of continuous use according to the manufacturer. 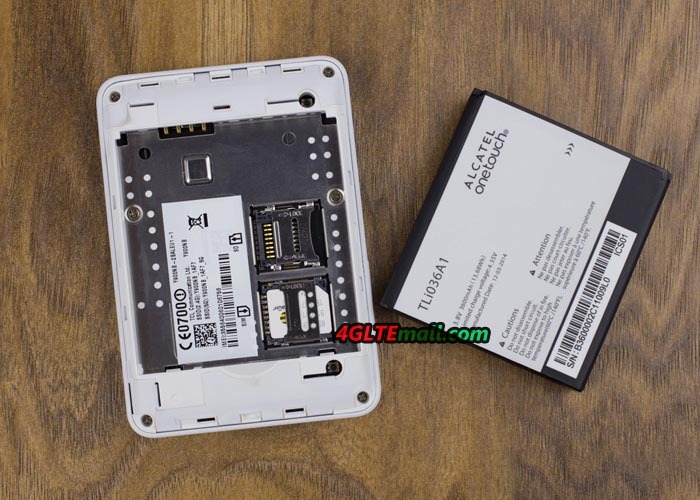 If the Huawei E5577C used very often and long, you need buy a spare battery and replace the battery if necessary. The Huawei E5577C is available in various online shops since July 2015. Without a contract and SIM lock, user can take it to anywhere. The small hotspot is not available directly from the network operator. If you like it, you can purchase the Huawei E5577C from www.4gltemall.com. The Huawei E5770 is available on the online store www.4gltemall.com since August 2015. The device will be sold both with black and white casing. A SIM lock has not installed by the manufacturer, all SIM cards should therefore function smoothly. 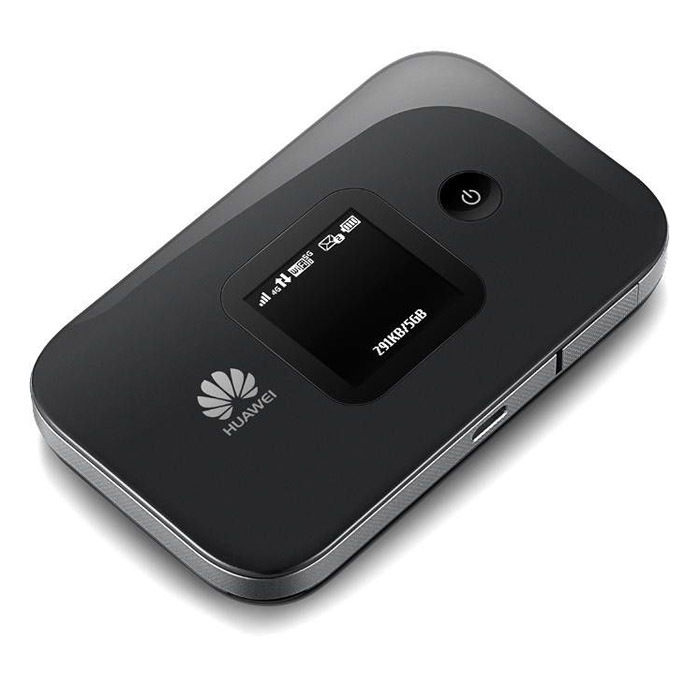 Without a contract, user can take the Huawei Mobile wifi Pro E5770 to all over the world. 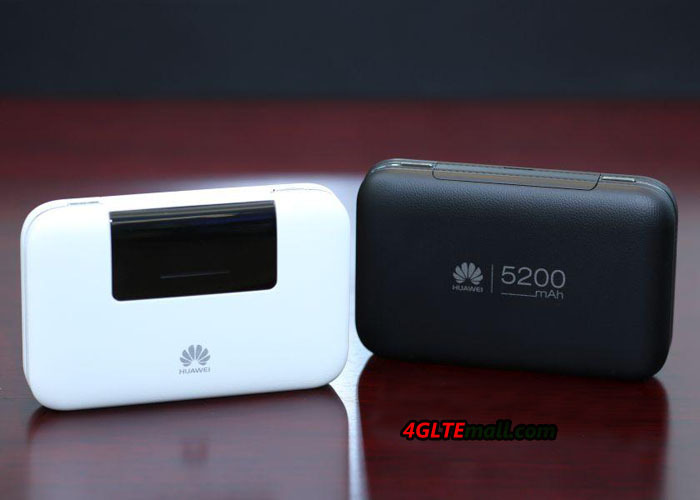 By the way, here now, there is newer model Huawei E5786(LTE Cat6, support speed up to 300mbps) available. If you like the latest model, welcome to check Huawei E5786. 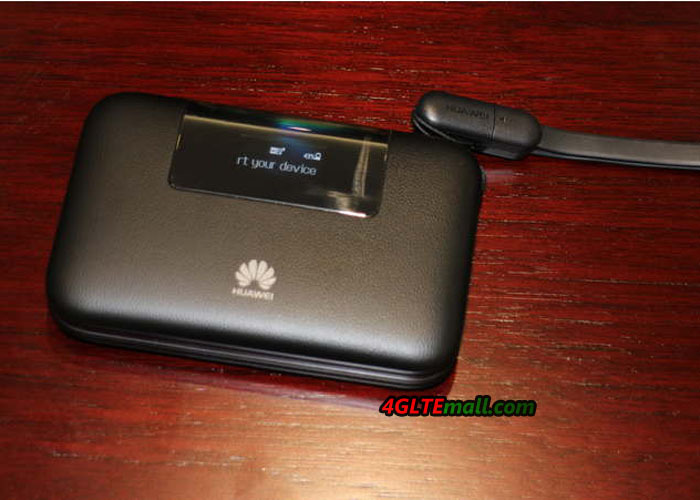 The Huawei B315 LTE router is now available without a contract and without SIM lock in online trading, for example, on www.4gltemall.com. The device is only available without a contract, the mobile phone operators in Germany, Austria and Switzerland do not sell the Huawei B315. 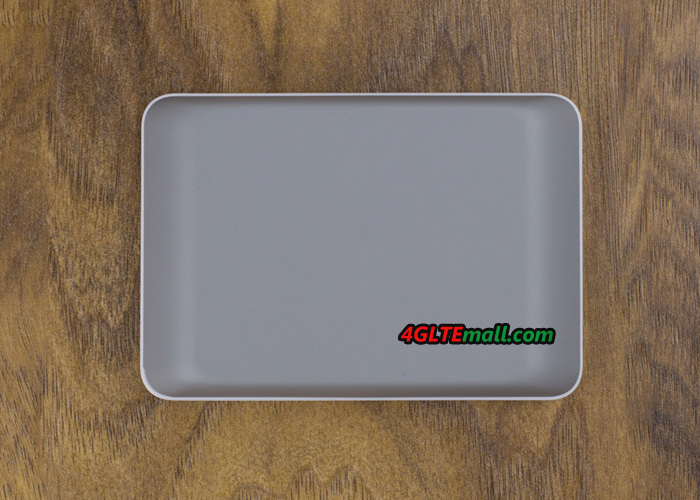 If you like this new router, you can refer the online store www.4gltemall.com . 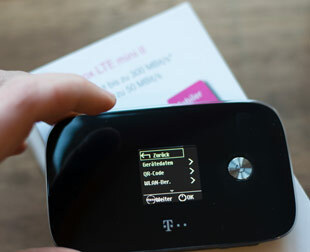 The German network carrier Telekom offers the Speed Stick V now, it’s the 5th version of the stick-series. The new model is distinguished by a number of improvements. This is much anticipated – it is a worthy successor of the Speed Stick III. We will show what the device can do and what advantages it offers compared to earlier versions. The Speedstick V should be named Speedstick IV, but we found it missed and IV and directly to V. Perhaps there is a model between the Speedstick V and III. In any case, the Speed Stick IV has not been a really big hit. The Speed Stick III was the best model in the range – this status is now taking over the 5. And it will no longer be available. First, it is noticeable that Huawei continues to focus on the size of the sticks. The Speed Stick V is 4 millimeters smaller than Version III and with only 24 grams of even 25 percent lighter. And also the height has been reduced by the same length. Unfortunately, Huawei also rationalized the articulated steering away. Actually, this is often helpful when using the laptop, so we rather see it as a deterioration. Solving space issues then creates only the use of an extension cord. In terms of design, optics and processing’s are unfortunately some drawbacks that affect not only the noble silver edge and slightly curvy concept of its predecessor. Here Huawei has unfortunately saved considerably on material. In this price range you must not ask for anything more. We hope that these savings will no established line at Huawei. But what ultimately counts are the intrinsic values. Under the Telekom logo hides the Huawei model this time with the serial identifier E3372, specifically E3372s-153. Again the LTE stick is not compatible with the category 6 (CAT6). In other words, he has mastered yet a LTE-Advanced. The Hisilicon chip allows for connections up to 150 Mbps download rate on category 4 (CAT4). That’s not so tragic, because it is expected with the launch of the new Super-LTE network eventually only in a few months. Why the Telekom is not equal to CAT6 is nevertheless remains questionable because the life cycle of the stick back for sure should be far more than 1 year. Thus it can be assumed that there will be an extra Surfstick for LTE-Advanced. Another positive feature relates to the network compatibility. The Speed Stick V supports LTE on the frequencies 800, 900, 1800, 2100 and 2600 MHz. In the event that no 4G is available, it is switched to GPRS, EDGE, UMTS or HSPA. This is always done automatically and is based on the next best available alternative locally. In this regard, so there are no changes to the Speed Stick III. As usual, it is possible the Surfstick also be used as storage medium, if a microSD is implemented in the slot provided for it. The card may be up to 32 GB in size. The customer can switch an external antenna for reception optimization. There are 2 CRC 9 ports ready on the side. Here on the standard format (2FF) will continue to set. So if you have a micro SIM, requires an adapter. There is no SIM Netlock as usual. 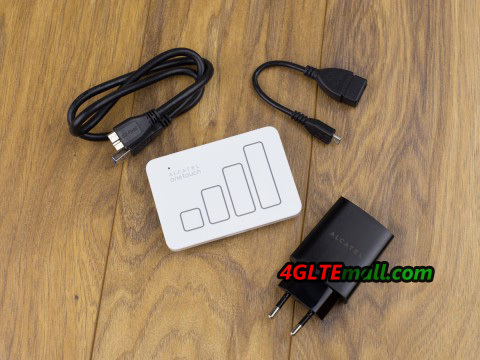 The Speedstick V is now available on www.4gltemall.com without any contract. In our opinion, it’s on of the best stick now on the market. Since summer of 2014, 1&1 also has its tariffs for mobile surfing via LTE. The basis for this is a more compatible LTE surf stick. The model number is ZTE MF823. This can be ordered as an option to new contracts. We show the features and specifications about 1 & 1 LTE Stick. While Telekom and Vodafone mostly rely on products from Huawei, ZTE cooperates with 1 & 1. 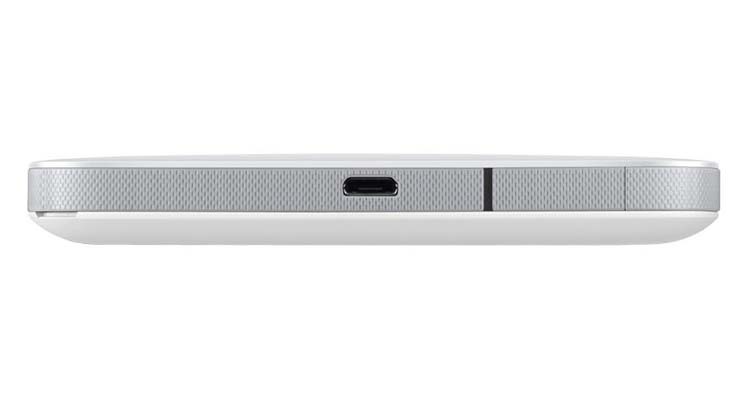 Behind the 1 & 1 LTE stick, it hides the model number ZTE MF823. 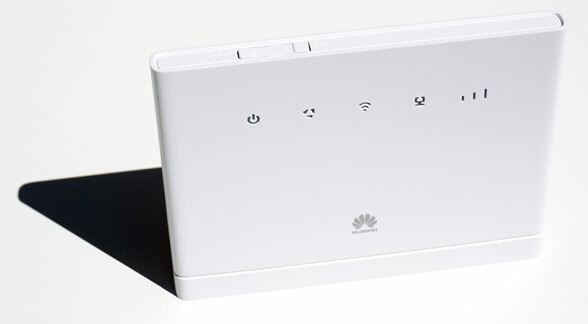 In addition, 1 & 1 offers a mobile 4G Router (MF910) at flat rates in connection with his laptop. 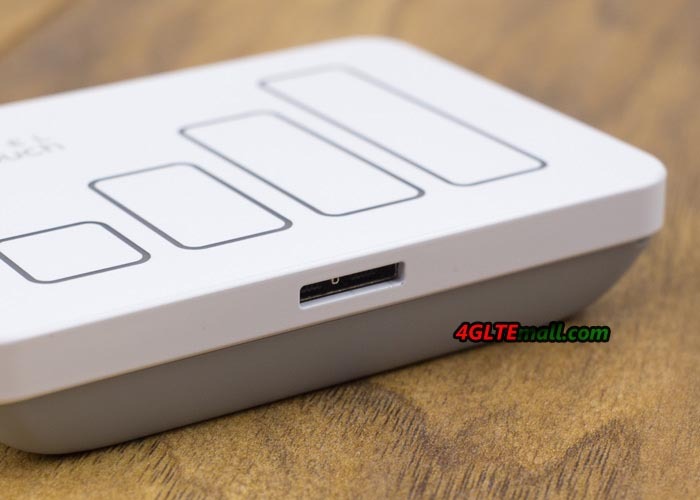 The LTE Stick is with a non-branded, white version with ZTE logo. 1 & 1 LTE-Stick is a solid, typical middle class model. It supports LTE category 3 hardware, so that the downstream hypothetically to 100 Mbit/s could be achieved. For Notebook Flats that was good enough, as the rates offer only up to 50 MBit anyway. The device can communicate at 800, 900, 1800 and 2600 MHz by 4G. 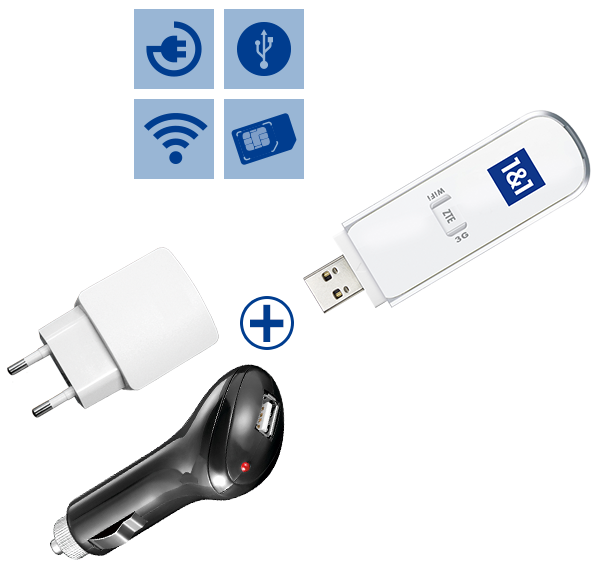 Since 1 & 1 only runs on 1.8 GHz, the MF823 stick could also work with other network partners such as Vodafone, O2, E-Plus etc.. But you must unlocked the 1&1 LTE stick. If there is no LTE reception locally, the drive switches to 3G or 2G standards, so that nevertheless could be surfed. If the signal is not good, over 2 sockets (TS-9) also can connect an antenna for improved reception. The installation is quite simple. Like many modern sticks, the 1 & 1 LTE stick also comes now without installing an extra software. The operation and configuration takes place, easily accessible via the browser. After first plugging it starts once a setup. This installs the necessary drivers, as well as an icon on the desktop “4G Hostless Modem” applies. After a short time, it further launches a browser window with the ZTE logo. Until this process is completed, it passed no more than 30 seconds. A for the 1 & 1 LTE offers quite suitable and uncomplicated stick for a small price. Simply plug in and start surfing – so it should be a good partner to surf internet. But if you prefer the original factory model, you could check the ZTE MF823 directly from www.4gltemall.com .